Downey Landing was hopping when I arrived a little before 9 p.m. on a Monday night. But now it's 10 p.m. 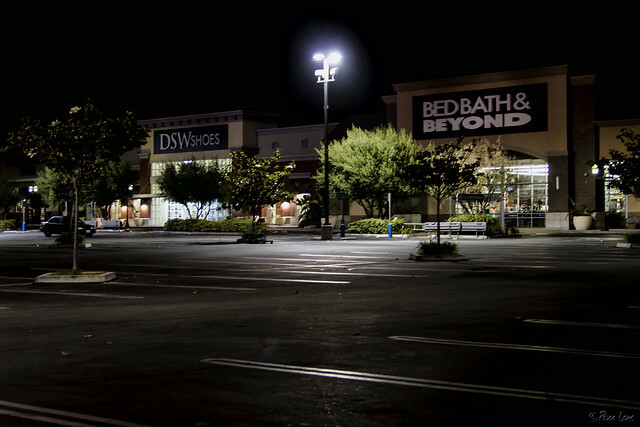 The storefronts are still lit, but the stores are closed, and the parking lot is nearly empty. What a difference an hour can make.